You have seen them all over the internet -- blinking, flashing, animated and garish. You vow that you will not contribute to this internet graffiti. You feel smug with your decision because after all banner advertising is dead. Wrong. Banner advertising is not dead -- and in fact it is still an effective internet marketing tool. However banner advertising has evolved -- or rather I should say successful banner advertising has evolved. Some of the horrible eye-damaging banner ads still exist but successful, knowledgable internet entrepreneurs have long abandoned those marketing efforts and instead concentrated on targeted, tasteful, and trim banner ads. Banner ads have a bad reputation in part because of the proliferation of banner farms that killed all the banner swap programs (or at least made them completely ineffectual). Also we all have memories of those hideous banners flashing across the top of so many web sites. Banners have come along way since then and a cleverly designed banner can be a real asset to any advertising campaign. Also don't forget that you don't have to use one of those big giant banners that span the width of the screen. You can use smaller simple ads that can fit easily into the sidebar or special box on a web site so they can suit the design and work more effectively. And savvy internet marketers are taking them up on these advertising opportunities. Consumer research historically shows that most people see an ad several times before they take action. Banners allow you to display your ad over a period of time, increasing the chances that a prospect will see your ad and remember it. Your banner ad can be targeted to specific audiences and displayed on internet pages and sites matched to that specific audience. People seeing your advertisement can instantly click through to your web site store to to learn more or to make a purchase on the spot. You can track your results and make adjustments to your campaigns based on response. Analyzing your results can help you finetune your banner, landing page, or target audience to improve your response and sales. Banner advertising is really a buyers market, as there is always more banner spaces available than advertisers need or want, which means you can find many bargains available. There are several aspects to consider when planning out your banner advertising campaign. The first consideration should be your ad graphic itself. These are usually animated GIF images but remember you want to attract customers -- not simply attention -- and remember the overall tone of your ad campaign when designing your graphic. Also keep in mind that many sites limit the file size of the graphic to somewhere between 12 and 16 KB. Your graphic will be hyperlinked to a target url of your choice so you may want to spend some time planning how you will track traffic and clicks. Some programs provide a tracking and statistics service for you but most individual sites can't offer that information. When selecting where to display your banner ad the first consideration should really be choosing a site offering information that appeals to your target audience. A high-traffic dating site isn't going to be much good for advertising your maternity clothing line, for example. Then you should look at traffic. When looking at site stats you want to make sure you focus on page views or page impressions rather than hits (which may count individually each graphic viewed). Depending on your banner and market you may be primarily concerned with unique page impressions. Banner advertising is often sold by CPM (Cost Per Thousand displays, the Roman numeral "M" stands for one thousand). Many sites also offer a fixed rate price for a set period of time. Many marketers do not concern themselves as much with click-through rates and instead see banner ads as "branding" tools. They create brand awareness and a brand image in the viewer's mind. The hope is that when the viewer gets ready to make a purchase then your "brand" pops into their mind. Branding can also generate sales over the long-term. Branding is difficult to measure, but can be very powerful. If you have a big advertising budget then you might want to consider an ad agency or media buyer. They can offer a lot of value for the dollar because they have the experience, knowledge, and contacts to make the most of your budget. It is quite possible to be your own media buyer, if you are willing and able to handle the increased workload. 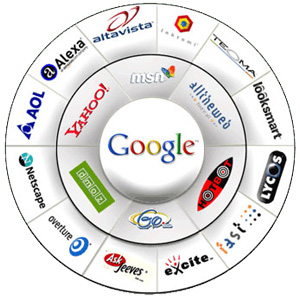 The biggest difficulty is finding the right sites on which to advertise your product or service. Then after you find a site that might be a good match you need to negotiate the best possible deal. It is important you be as knowledgeable as possible as it is a buyer's market and you don't want to pay too much. Of course you also don't want to alienate a web master whose site is a perfect match for you. You also have the option to buy banner space on many search engines and directories. Often this option allows you to display your ad only to a targeted audience which can obviously increase your chances for a successful campaign but it can be a pricey option. Banner ad networks are another targeted option that might be more affordable. Individual web site owners contract with a single company to serve their banner ads and handle ad sales for them. In turn, these networks divide their sites into categories and subcategories to allow advertisers to advertise on particular sites within the network that are the most highly targeted. They also offer very sophisticated tracking tools that give you lots of valuable information about who is visiting your site, and what actions they are taking. Some networks offer pay-per-click advertising which only charges you when someone clicks on your banner and comes to your site. However, this approach is subject to fraud by unscrupulous site owners. A pay-per-sale network, otherwise known as an affiliate program, only charges the advertiser when a purchase is actually made. The advertiser pays both the affiliate and the network but only when there is a sale. Of course the competition to attract quality affiliates is high so while this can be effective it shouldn't be the only method of banner advertising you use. * Keep your message brief, direct and simple. * Attract more attention using words such as "free" and "now". * Put "click here" somewhere on the banner. * Create different versions of the banner. * Animate your banner but only if it improves it. * Keep the file size as small as possible.